A tidy hotel room is your chief responsibility, and the hotel you want to land a job at will be looking for experienced housekeepers that can work fast and meticulously. Housekeepers should not only be hard working, but also honest individuals who take pride in their work and are friendly and engaging with guests. 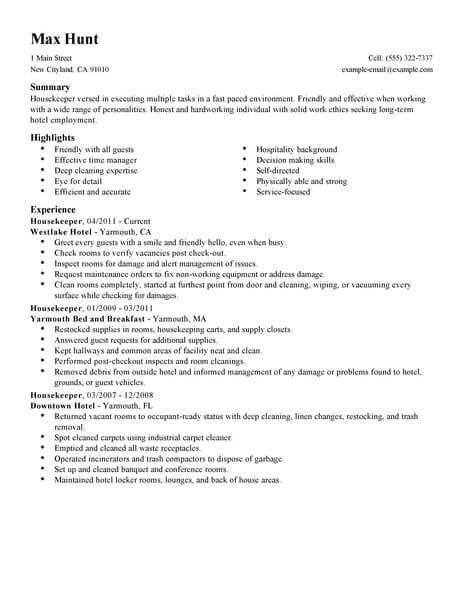 Accordingly, your housekeeper resume should reflect your keen eye for detail and the ability to inspect rooms and pick up maintenance problems. 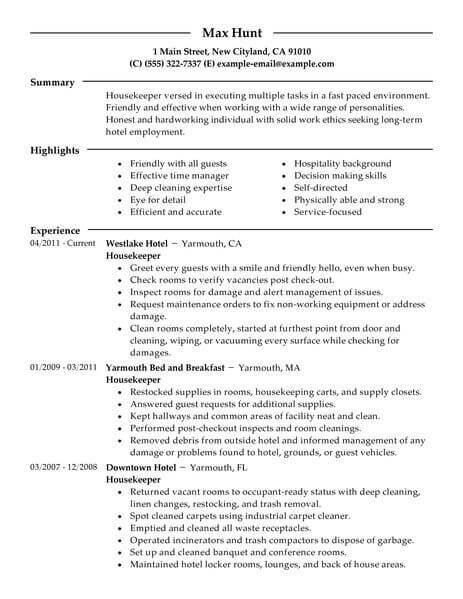 See our housekeeper resume example for guidance on how to outline your experience in the hotel industry, detailing the exact duties you have performed in your previous roles. Quality housekeepers are always in demand. If you’re looking for a housekeeper position, you’ll need a professional resume. Our resume examples are designed to assist you with creating a resume that will help you land a housekeeper job in the hotel and hospitality industry. 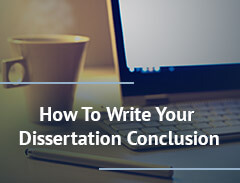 Use the pre-written text to build your resume, faster. Click on any of the resume examples below to get started. 1. Prepare yourself. You can prepare yourself by doing research, figuring out what industry you want to work in and coming up with a way to organize your search. 2. Focus on the skills you want to use. As you search for job openings, don’t be afraid to look outside of the industry that you have experience in. No matter what you do, make sure that the positions you apply for use skills that you want to use. 3. Follow up on your leads. Whether you had an interview or only just started communicating to a hiring manager, make sure you follow up on all of your leads. This will set you apart from your peers while showing the employers you are dedicated to finding a job. 4. Keep your eyes open for opportunities. Looking for postings on only one website isn’t enough. You have to look on multiple job positing sites, company websites, social media, in newspapers, at local libraries and talk to your network in order to find and apply to more opportunities. 5. Make achievable goals. The main goal of your job search is to find a job, but this can take a while. In order to keep yourself positive, you should make daily or weekly goals, such as sending out a certain number of resumes or attending so many job fairs. 1. 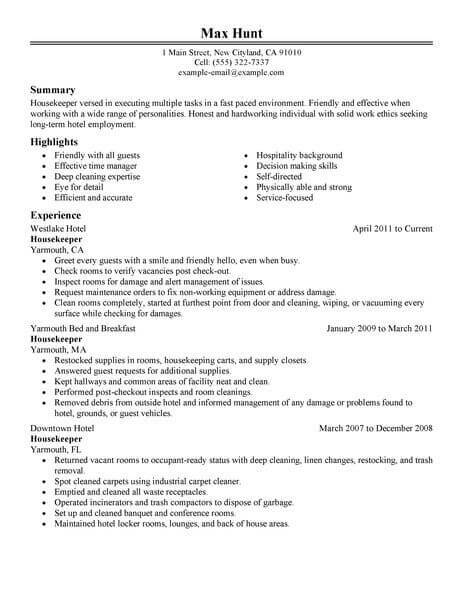 Do try to create a resume that is either one full page or two full pages depending on how much experience you have. 2. Don’t create a generic resume, instead revamp your resume to make it appeal to specific potential employers. 3. Do make your resume reader friendly by using no more than two different fonts, creating standout headers and using bullet points. 4. 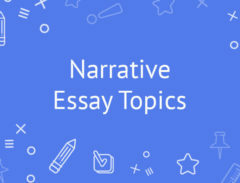 Don’t included unimportant information about your hobbies, political views, religious affiliations, marital status, physical description, high school education or anything controversial. 5. Do use metrics as you describe your accomplishments and experience in order to create an engaging documents that wows the hiring managers.